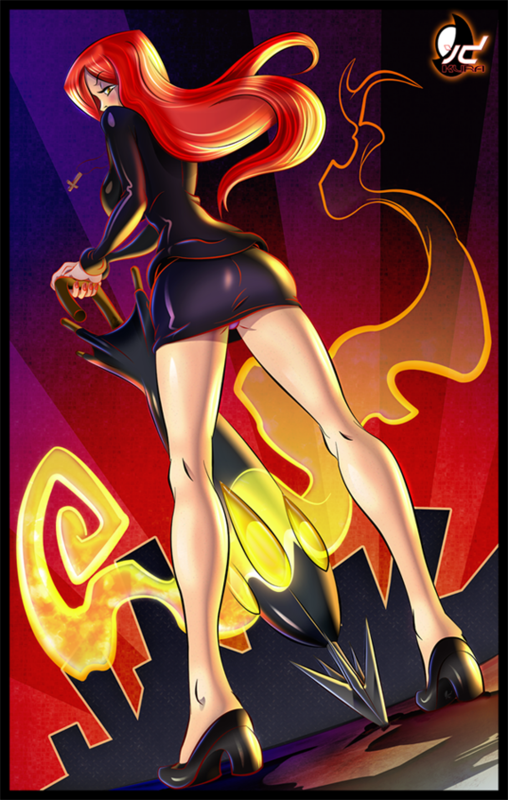 Parasoul struts her stuff in this great painting by IDKURA. 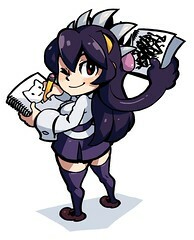 Pixiv’s Kuroino drew this excellent profile of Filia and Samson. Why are you so amazing all the time? How about another theme week, like one for NPCs? I agree, Kavi. The NPC’s have stolen me away, just as the playables have. Reverge, if you’re reading this, please set up something like what Kavi here just suggested; I crave more Molly! First picture: My strategy against Miss Fortune EVERY. SINGLE. TIME. I love Fan Art Fridays! The first and last pieces of this batch are especially nice. Will the Skullgirls soundtrack be available on iTunes when it releases? Will the Skullgirls soundtrack release within the next two weeks, as estimated (three weeks from launch)? 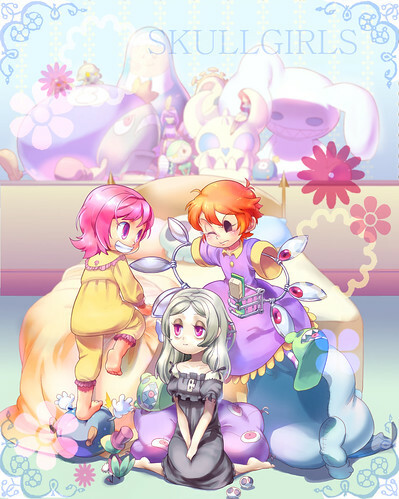 I just bought the official Skullgirls Soundtrack on iTunes! I also bought a new fight pad, which feels much more comfortable than my regular controller. 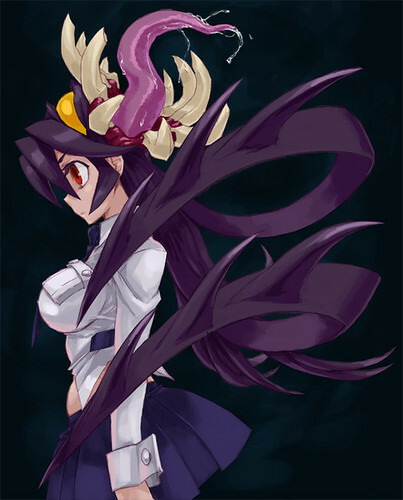 I’m still new to fighters, but Skullgirls is so fun I don’t really care if I lose a match. Losing just gives me another chance to hear the entertaining comments between characters, as well as “This is tuna with bacon!” The tutorials taught me a lot about fighting game mechanics.